What a cute book! 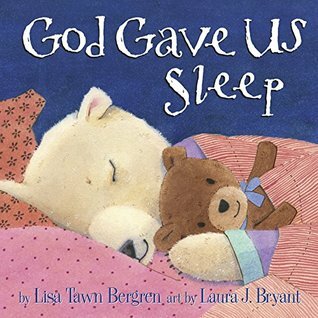 This book is perfect for families who are trying to bet their kids to sleep all night. The story also goes over how God wants us to get rest so we are kind for the following day and not grouchy. My favorite part is when they pray for good dreams and not to be scared of nightmares. So this book covers a few issues that kids have when it comes to sleeping and reminded me the importance of sleeping too! I love all of Lisa's children's books and this one is one of my favorites! I can't wait to share with my littles.